Defending champions, Lionel Sanders (CAN) and Lucy Charles (GBR), have triumphed once again at THECHAMPIONSHIP 2018, defeating a remarkable line-up of pro athletes in order to take the title and a share of the 150,000 Euro prize purse. Spectators watched in their thousands as the outstanding athletes crossed the finish line under stunning conditions at the x-bionic® sphere in Samorin, Slovakia, following a gruelling, but intoxicating middle-distance race that commenced at 9AM (local time). 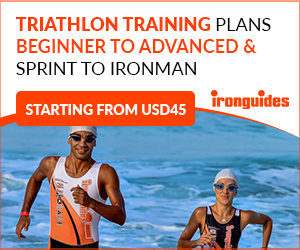 The top three finishers in The Championship 2017 – Lionel Sanders (CAN), Sebastian Kienle (GER) and Michael Raelert (GER) – returned this year to, yet again, battle it out for the title. 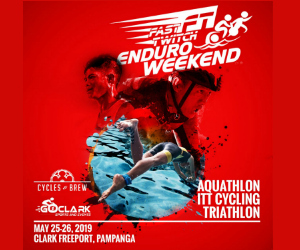 It was local triathlete, Richard Varga however, who took an early lead in the race, exiting the water first, with Florian Angert following in second place and Samuel Appleton in third, completing the top three. Following a speedy transition, Maurice Clavel took an unprecedented sizeable lead in the bike leg, cycling at an impressive 60km/hour, with Pieter Heemeryck following in second place, and Max Neumann in third. By 68km however, Florian Angert had raced to first place, which he maintained for the remainder of leg 2. Kienle climbed to second spot, whilst Clavel dropped to third. During the bike leg, Mexican triathlete, Mauricio Mendez, suffered an unfortunate casualty as he punctured his bike tyre, in addition to Richard Varga having to drop out before the 30km mark. Despite a difficult bike leg, Sanders raced his way up from seventh position, and at the beginning of run lap 2, spectators were kept on the edge of their seats as last year’s top two males, Kienle and Sanders, set off with just 23 seconds between them, with Kienle leading. In a dramatic turn, Sanders overtook Kienle and managed to break away within the last three kilometers, taking the win with a time of 3:43:28. As with the men’s pro athletes, the top three female finishers from THECHAMPIONSHIP 2017 – Lucy Charles (GBR), Annabel Luxford (AUS) and Heather Wurtele (CAN) – all returned this year to race for the win. 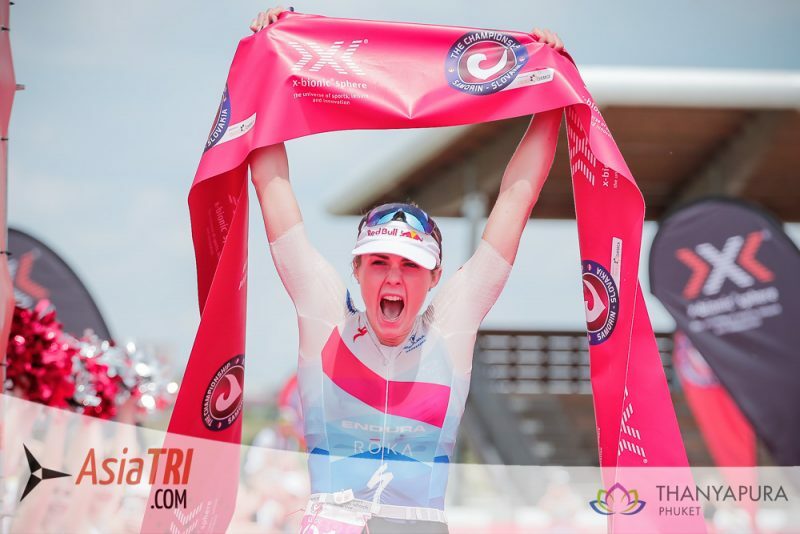 No doubt, all eyes were following Lucy Charles, who has gone from strength to strength, and recently won the Cannes Triathlon. To nobody’s surprise, Charles had a strong swim and took an early lead, exiting the water 2.08 seconds ahead of Vodickova, closely followed by Ellie Salthouse. The bike leg got off to a swift start with Charles leading from the off, followed by last year’s leader in the bike leg, Kimberley Morrison – a fellow GBR athlete. As expected Charles started the run with a very comfortable 2:20 lead on second place Morrison. Within the first 5km of the run, it was clear that with such a strong race, defending champion Charles was set to take the title, and the true battle was that for second and third place. Morrison and Vodickova raced head to head, only to be taken over by Anne Haug, who took the second podium position. Third place went to Vodickova, who was competing only months after the birth of her first child. 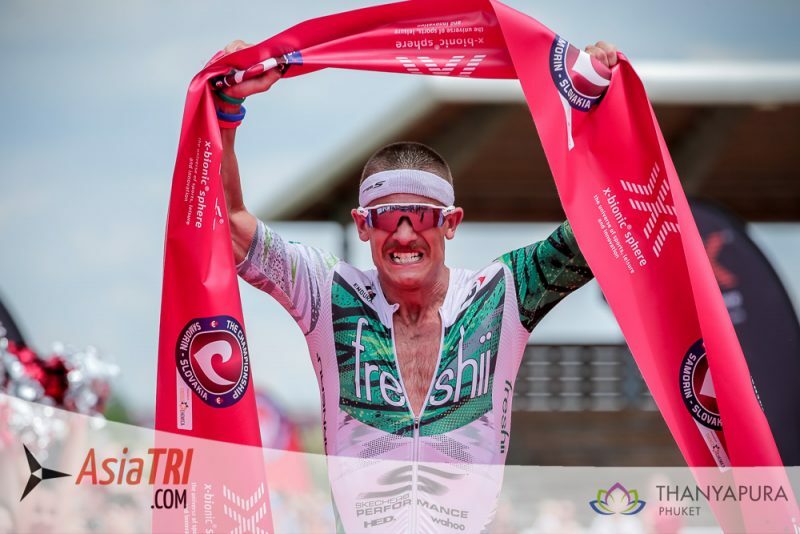 Those watching THECHAMPIONSHIP 2018 at the x-bionic® sphere were not only treated to an exciting race against a breathtaking backdrop, but were also offered an array of entertaining side events, further positioning CHALLENGEFAMILY as the race series for the whole triathlon family. Those who were unable to make it to Samorin for THECHAMPIONSHIP 2018 were treated to an action-packed live-stream on the CHALLENGEFAMILY website, with live commentary throughout.